Xtreme Fluid 334 is designed to be a universal, multi-purpose lubricant for farm, construction, and logging equipment. This product is manufactured with base oils and additives that provide 3-season performance ins spring, summer, and fall while providing 3 layers of protection for equipment including anti-wear, rust, and oxidation. 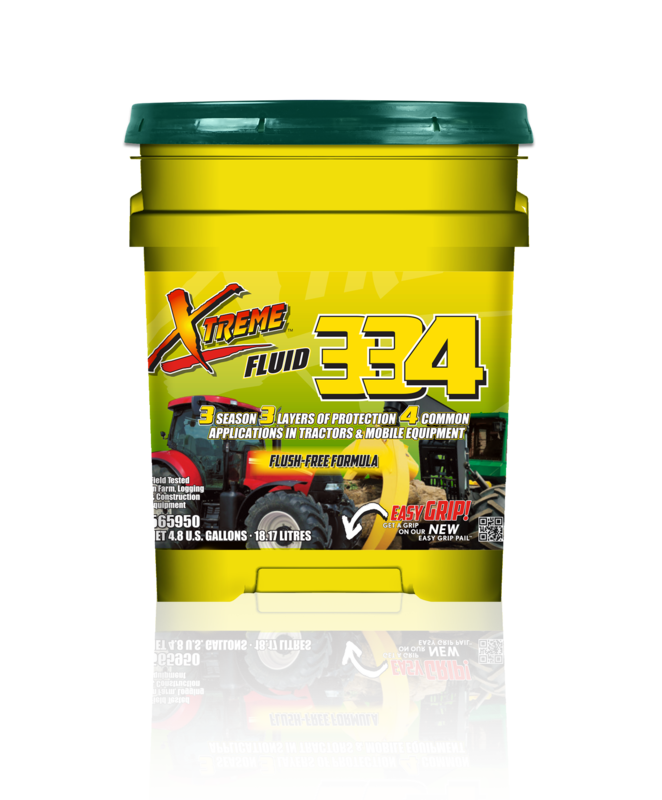 Xtreme Fluid 334 will provide an economical solution in the 4 applications found in common reservoirs that contain wet brakes, hydraulics, final drives, and transmissions. This product is ideally suited for equipment that may be aging and requires frequent fluid replacement. Not recommended for equipment manufactured after 1974.